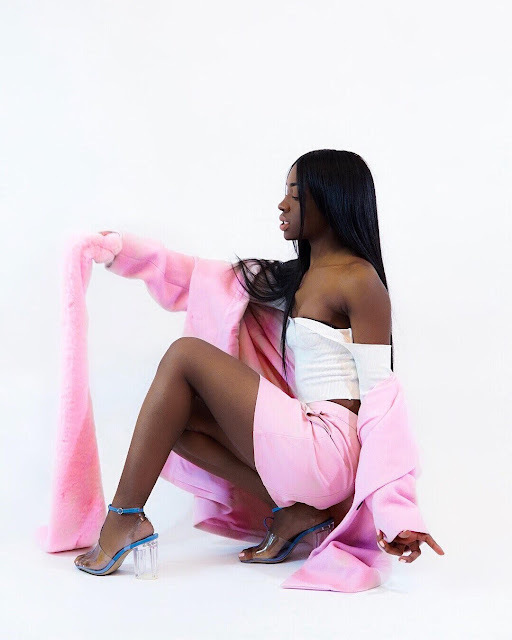 West Philly native, Aleana OP is giving us the soundtrack of love just in time for Valentine's day. A poignant and tumultuous journey is detailed in Chapter 22. Reminiscent of Jill Scott, Aleana takes us on a sequential walk down lover's lane. A walk that's always full of like, admiration, lust, love, miscommunication, hurt, anger, disappointment, and eventually; maybe reconciliation. The highs and the lows. This six track EP is just what you need to cry out any hurt and get it over with! Aleana is open and liberated as she sings from beginning to end. Fin, serves as the beginning and end. Light, and maybe optimistic, maybe even questioning love. Love Letter is an inquiry of love. Is it real, is it what we're actually experiencing? Divine Creatures is questioning the promises of love. She sings "Can you love me like I know you could? Will you touch me like you say you would?" Can this love be fulfilled? One of my favorites is Dear Darla, a brilliant remake of Alfalfa's goodbye letter to his estranged Darla. Now, we're moving on...to the moving on. Anger breaks our focus on love in Careless. "I almost set your crib on fire...cause you was a muthaf*cking liar," is the opening line. This song demonstrates the realization that it's time to free yourself from cupid's chokehold. "I'm over love, I'm over us." she declares. A beautiful finish to Chapter 22, Fin (The End). A scorned lover has to walk away from a partner in which she's poured herself into. A story too familiar. Please enjoy Chapter 22 below. It's also available on all major streaming services.